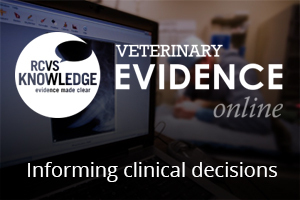 RCVS Knowledge’s podcasts including podcasts from Veterinary Evidence and RCVS Vet History. A platform for a wide range of veterinary topics from economics to clinical practice and teaching, EBVM and preservation of the historically rich and unique archive collections belonging to the Royal College of Veterinary Surgeons. Ali Mann - When Preparing Veterinary Patients for Surgery Is the Friction (Back and Forth) Method of Scrubbing the Skin More Effective Than Concentric Circles at Reducing Bacterial Levels on the Skin? In this Audio Summary, Ali discusses the evidence around two methods for scrubbing skin prior to surgery Read the full Knowledge Summary here. Audio Summaries are a free resource that enables vets and vet nurses to access and digest relevant and up-to-date evidence quicker and easier! A time-saving way to make better and faster evidence-based decisions. Mike Steele - Does Heat Stress Affect Immune Function in Dairy Cows? In this Audio Summary Mike discusses whether heat stress affects immunity in dairy cows. Read the full Knowledge Summary here. Erik Fausak - Does the Use of Intratesticular Blocks in Dogs Undergoing Orchiectomies Serve as an Effective Adjunctive Analgesic? In this Audio Summary Erik discusses whether the use of intratesticular lidocaine works as a good adjunctive analgesic in dogs undergoing orchiectomies. Read the full Knowledge Summary here. Victoria A. Colgate - Do Oral or Minimally Invasive Cheek Tooth Extraction Techniques Reduce the Incidence of Post-operative Complications in the Horse When Compared to Repulsion Methods? In this Audio Summary Victoria discusses whether oral or minimally invasive tooth extraction techniques reduce the incidence of post-op complications when compared to repulsion methods. Read the full Knowledge Summary here. In Adult Dogs, Does Feeding a Raw Food Diet Increase the Risk of Urinary Calculi Formation Compared to Feeding a Complete Dry Kibble Diet? In this Audio Summary Emma discusses whether feeding a raw food diet to dogs alters urine composition compared to a kibble diet. Read the full Knowledge Summary here. Louise Buckley - Are Pressure Vests Beneficial at Reducing Stress in Anxious and Fearful Dogs? In this Audio Summary Louise discusses whether pressure vests reduce stress in anxious dogs. Read the full Knowledge Summary here. Foteini Kormpou - In Dogs That Have Had Intussusception Does Enterοplication Prevent Recurrence? In this Audio Summary Foteini discusses whether enteroplication reduces the probability of recurrence of intussusception in dogs. Read the full Knowledge Summary here. Catherine McLeonard - Are Adult Cats Fed on Wet Maintenance Diets Less at Risk of Developing Chronic Kidney Disease Compared to Adult Cats Fed on Dry Maintenance Diets? In this Audio Summary Catherine discusses whether cats fed on wet maintenance diets are less at risk of developing CKD than those fed on dry. Read the full Knowledge Summary here.